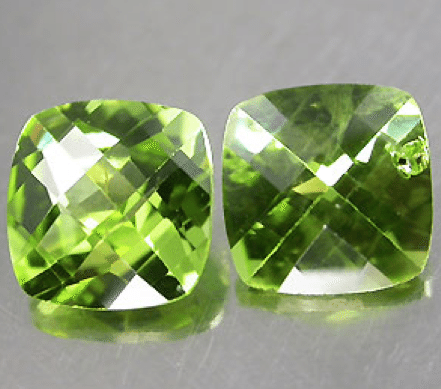 Don’t miss this beautiful pair of calibrated natural peridot gemstones that show a well satured and very intense olive green color, with a great luster adn sparkle these peridot pair are perfect to be set in a pair of gold earrings. 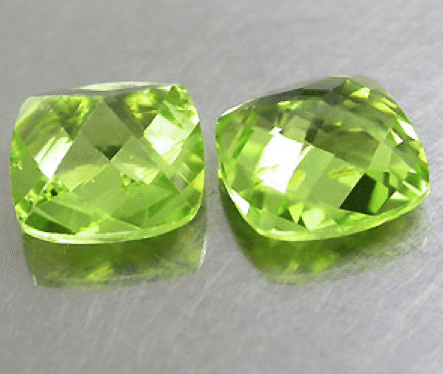 This pair of natural peridot are cut in a beautiful cushion shape with an attractive checkerboard table. 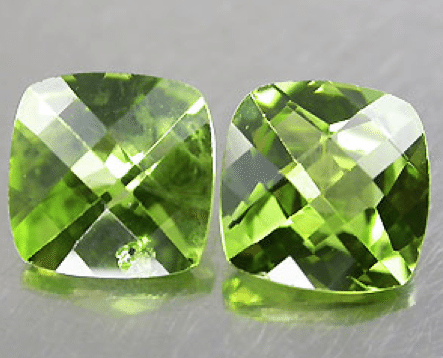 Feel free to contact us to buy this pair of gemstones by compiling the form below with your data, we will reply you soon with all the information you need.